Brainy Girls! : Art to Make Your Head Spin! Brainy Girls! An online magazine for girls who have an interest in using their brains. You've got a brain...own it! The theme for the June and July issue of Brainy Girls is INSECTS!!! Get ready for some critters that will crawl their way into your heart! Art to Make Your Head Spin! 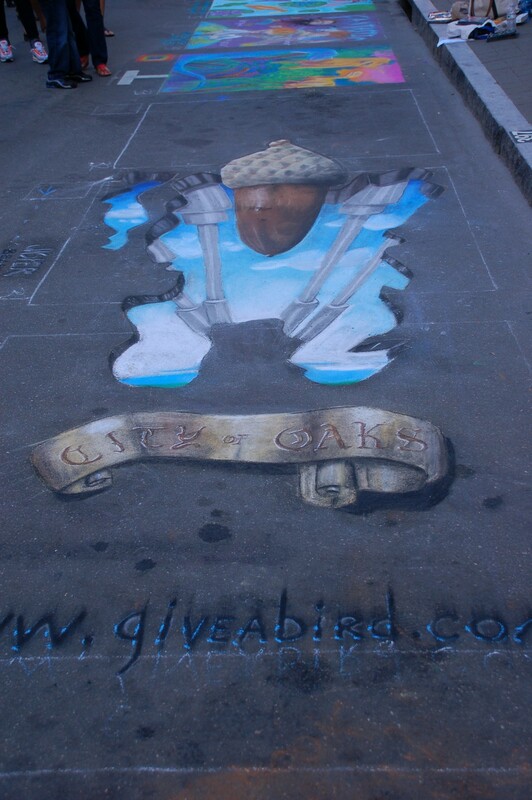 Have you seen the 3D sidewalk art that has been going around lately? It's really incredible - viewed from a particular angle, the drawing looks like a three-dimensional scene. But in reality, it's flat! If you want to know more about how these drawings work, head over to the Articles page where you can read all about it and even see a couple of drawings in action. It will make your head spin! These are the same drawing, one viewed head-on and one viewed from the side. See the difference? Read the article to find out more! My baby goat friend and I are happy to meet you! We are brainy girls! This online magazine is for anyone who has a brain, uses her brain, and wants to grow her brain. The main message here is that it's ok - and even awesome - to use your noggin', show off your smarts, demonstrate the workings of that lump of gray matter between your ears. You don't have to choose between being a girly girl, or a geek, or an average Jane - you can be whoever you want to be (and any of those things are great, as long as they are you!). You can be a geek AND a girly girl if you want. Just use your brain, and be proud of it! Want to support Brainy Girls? Please help me grow Brainy Girls! Your support helps me pay for time that I use to educate and encourage girls by developing this advert-free website and visiting classrooms. Use PayPal to donate an amount of your choosing. Thanks! 10 Things You Didn't Know About Bicycles! What's the Deal? Are Daddy Longlegs Spiders or Not? Just for You - Blogs by Women in STEM Fields! I've Been Antsy About Getting The New Issue Out! One Minute to Midnight: Can Doomsday be Avoided in11:59? Please take a moment to join one of our social media communities. The most rewarding part of running this website is hearing back from YOU, so subscribe, connect, and let me know what you think! Happy New Issue! And New Year!